If you’ve collected military items for any length of time, chances are that you’ve heard of the name “Bannerman.” Like many successful entrepreneurs of yesteryear, Francis Bannerman IV was an immigrant, brought to America as a child. Born in Dundee, Scotland in 1851, the 3-year old Bannerman settled in Brooklyn, New York with his Scottish father and Irish mother. Their home was located a stone’s throw away from the New York Naval Dockyard, more commonly known as the Brooklyn Navy Yard. This chance location for a home greatly influenced Bannerman’s future. Following in his father’s footsteps, the 10-year old Bannerman became a skilled picker; finding and selling scrap iron, rope, and other odds and ends that were discarded in and around the Navy Yard. 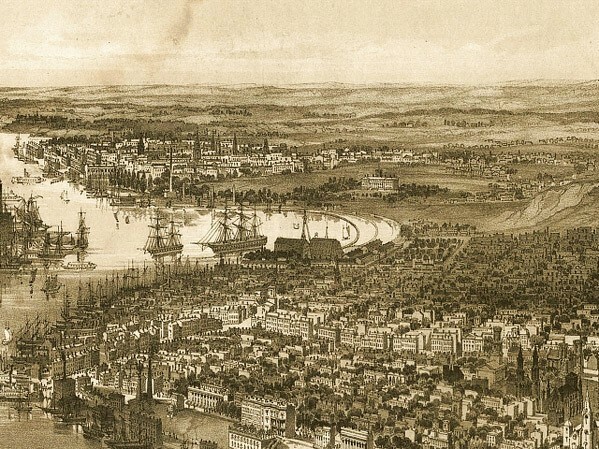 Circa 1851 engraving of the Brooklyn Naval Yard and Wallabout Bay from the Brooklyn Navy Yard. During the Civil War, Francis’s father joined the Union Navy or worked as a merchantman in service of the Union. In his absence, the younger Bannerman became the primary breadwinner for the family until his father returned at the end of the war. Upon his return, his father continued pursuits in the junk business, opening a store and a small warehouse in 1867. The family continued to source and sell ship scrap, well into the late 1870s, with Francis’s younger brother taking over the family business in 1881. During the 1880s, Francis began to frequent Government auctions at the Brooklyn Navy Yard, mostly purchasing US Navy surplus. Like any good businessman, Francis understood that if he were to grow his business, he would have to advertise more aggressively. 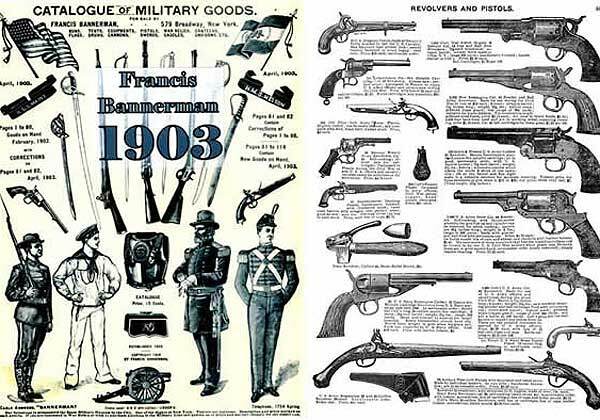 In 1884, Bannerman produced the first of his now famous, military surplus catalogs. Sensing he was on to something good, he followed that publication with more expansive catalogs in subsequent years. The catalogs were a big hit, and based on their success, he was compelled to purchase more military surplus at Government auctions. Early on, a significant portion of Bannerman’s military goods inventory came from Government surplus auctions of Civil War items. And he bought everything, from dishes to 17,000 pound cannons and their projectiles. In the 1870s, he procured nearly 200,000 Springfield muskets and sold them for a bargain, only $5 each! Talking about cannons, if you’ve ever seen one in a town square, outside a VFW, or perched along a walking trail in one of our National Military Parks, chances are it came from Bannerman. 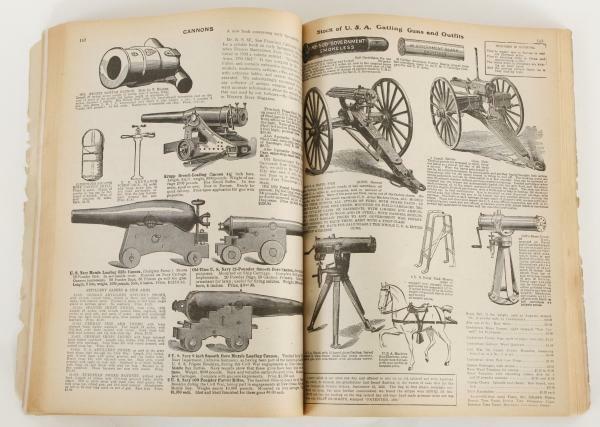 1936 Bannerman Catalog featuring cannons and Gatling guns. In 1890, Francis expanded his burgeoning arms and military goods business with the purchase of the Spencer Arms Co. of Windsor, Connecticut; and along with it, the rights to make the Spencer pump-shotgun. As soon as sales began to grow, so did the competition. Winchester introduced its own pump-shotgun, along with an aggressive and well-funded advertising campaign. Bannerman sued, but a New York Federal court ruled in favor of Winchester in 1897. Not to be discouraged, the following year proved to be a pivotal year in the expansion of the Bannerman military surplus enterprise. By the end of 1898, the United States had declared war against Spain and fought a three month war in Cuba and the Philippines, creating the largest military surplus since the close of the Civil War. Bannerman arrived in Havana in December of that year and purchased nearly every piece of military equipment surrendered by the Spanish, including thousands of Spanish rifles and millions of rounds of ammunition. In classic Bannerman fashion, he wanted more! The following year he wrote the US Navy to determine if he could purchase the surrendered Spanish warships! 1903 Francis Bannerman Catalog featuring Spanish American War surplus. Due to the sizeable purchases he made in Havana and elsewhere in 1898 and 1899, Bannerman’s warehouses were filled to the roof. To further complicate his storage situation, New York City would not permit the storage of live artillery and small arms ammunition in the city. So what did one eccentric, Scotch-Irish, arms dealer do? Well, he bought an island of course! His search for storage space led him to purchase a small island known as Pollepel Island. The 6.75 acre island on the Hudson River was roughly 50 miles north of the city and just 5.5 miles north of West Point. The island was easily reached by boat – a key consideration being that moving heavy cannon and volatile ammunition by water was the safest and least expensive way to do so. Over the course of the next two decades, Bannerman built warehouses, a private residence, and a replica Scottish castle on the island. To protect the shores of the island, he constructed a breakwater made from thousands of Springfield musket barrels. Bannerman Castle in the early 1900s. By the turn of the century, Bannerman’s sons, David and Francis VII, were working for him. This allowed Bannerman to travel to other parts of the world such as Europe and Asia for buying and selling trips. Such trips helped Bannerman expand his catalog sales beyond just Civil War and Spanish/American War surpluses. The first decade of the 20th century marked the highpoint of Bannerman’s military surplus empire. As military technology was rapidly advancing, the U.S. Government was aggressively shedding its suddenly outdated military arms and equipment. Such surplus sales weren’t limited to Federal Government auctions. Bannerman also worked deals with the adjutant and quartermaster departments of several states to purchase their surplus military goods. On April 1918, during the hysteria of World War I, a United States Navy submarine chaser landed 19 men on Pollepel and took control of the island. They ransacked warehouses and placed Bannerman on house arrest. After his attorney got involved, Bannerman was released and was later issued an apology by the Navy. Recovering from an illness, and possibly too much excitement for the 77-year old to handle, 7-months later, Bannerman passed away. Bannerman’s sons, David and Francis VII, took over the business and changed the name to “Francis Bannerman Sons.” In 1920, a munitions storage magazine on Pollepel exploded, injuring Bannerman’s widow. A sign of things to come, this incident marked the beginning of the end of the Bannerman empire. The sons continued to buy from Government and private auctions throughout the next decade until the Great Depression and World War II crushed Bannerman surplus sales. By 1957, both of Bannerman’s sons were dead, and there was no one left in the family with an interest in carrying on the business. Bannerman’s warehouses were sold; and in 1958, the storage facilities on Pollepel Island were gutted of their explosive contents. In 1967, the island was sold to the State of New York. A year later, the Taconic State Park Commission took control of the island only to see the once magnificent Scottish “Bannerman Castle” destroyed by fire. Still standing today, are the exterior walls which still command the attention of anyone passing by on the Hudson. A modern view of Bannerman Island from the Hudson River. 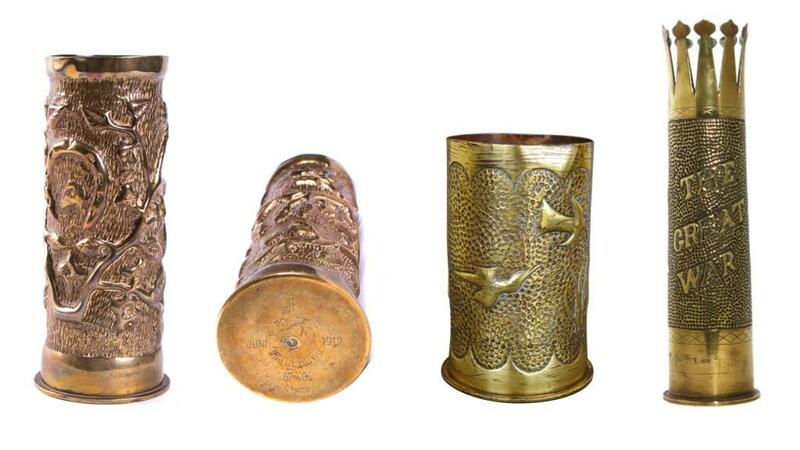 If you’re a collector of militaria, odds are that you have at least one piece of Bannerman military surplus in your collection. 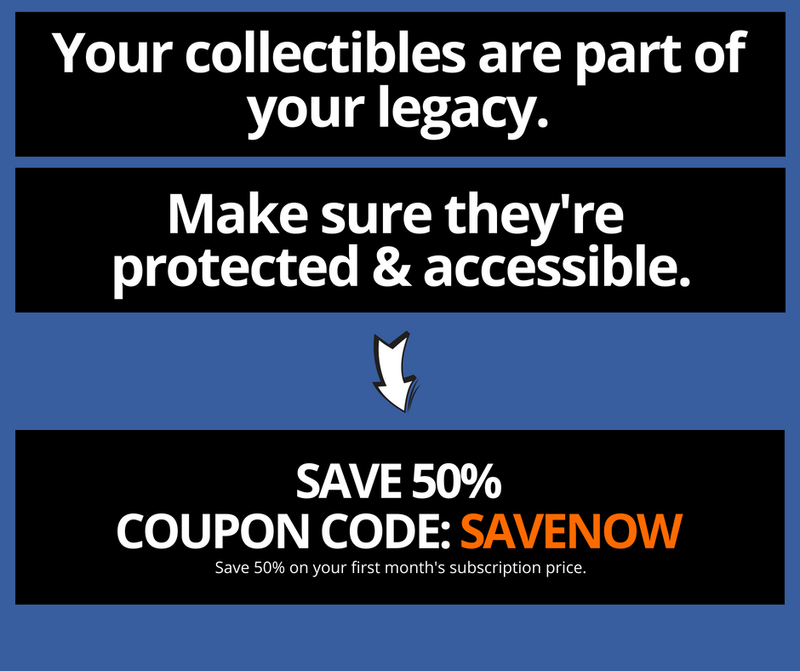 However, many collectors tend to shy away from Bannerman surplus items. Bannerman was notorious for modifying his products to make them sell better. For example, following the Civil War, he noticed that U.S. Army Remington revolvers weren’t moving as fast, or for as much, as the Confederate Colt Navy revolver. His answer to this trend was simple. He had the U.S. Army revolvers engraved with CSA markings. A shrewd move Francis. Shrewd. 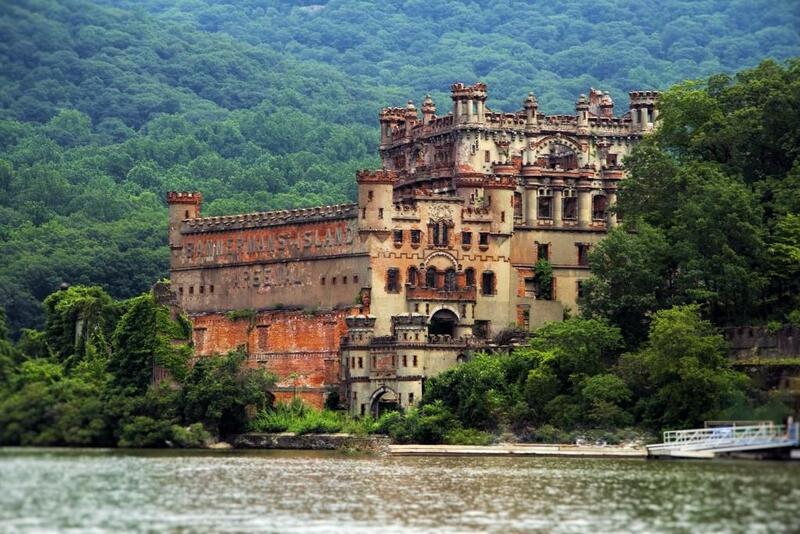 Today, “Bannerman Island” is in the care of The Bannerman Castle Trust, Inc. In addition to caring for the property and marshaling resources to stabilize the remaining structures on the island, the Trust also offers public tours of the grounds. To learn more, check out the Trust’s website by clicking here.